Excellent reflection. It was fun co-hosting with you! I enjoyed your posts. You chose such a fascinating theme. Actually, I'm following this blog already, and Sharon's, so this time of year just means more fascinating stuff to read, only daily. 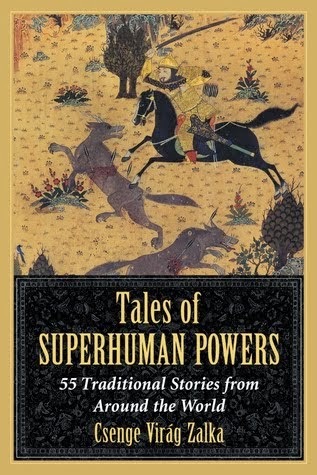 I love all those folk tales from around the world! Amazing how many of them are familiar in theme, wherever you live. Keep up the good work! I loved your theme and posts. It is always a pleasure to read your blog. And the message of your reflections - folktales are diverse and not only about damsels in distress - is powerful and important. a lot of the tales you presented were weird but lot of them makes so much sense and they are certainly unique in that they aren't like the fairytales I know which I really don't know all that many tales to compare with. I do like the tales with humor because it's better with humor & who doesn't enjoy a story with humor? sadly, I didn't do a theme or rather I really couldn't stick to one. perhaps I should try it for next year. congrats on finishing and also, thank you for hosting. You had a great theme and it was fun reading the weird tales you found. I'm not quite sold on the no linky list. I did like how it made people pitch their themes, but it was also more time consuming and I didn't always have the energy to go through it. Won't stop me from participating, but I'm mixed on if I like it or not. Loved reading all those definitely different tales. Certainly an eye opener for sure. And if you haven't seen it yet then I highly recommend Granblue Fantasy as your next anime. Video game based but it sooooooo beautiful. I loved your theme and enjoyed your posts. Looks like we also had a lot of overlap in the other A-Z blogs we've enjoyed - not too surprising, I guess. I always love your folk tales and I'm particularly fascinated by how you took this opportunity to do some academic work and study the function of the index. You sneaky fox! 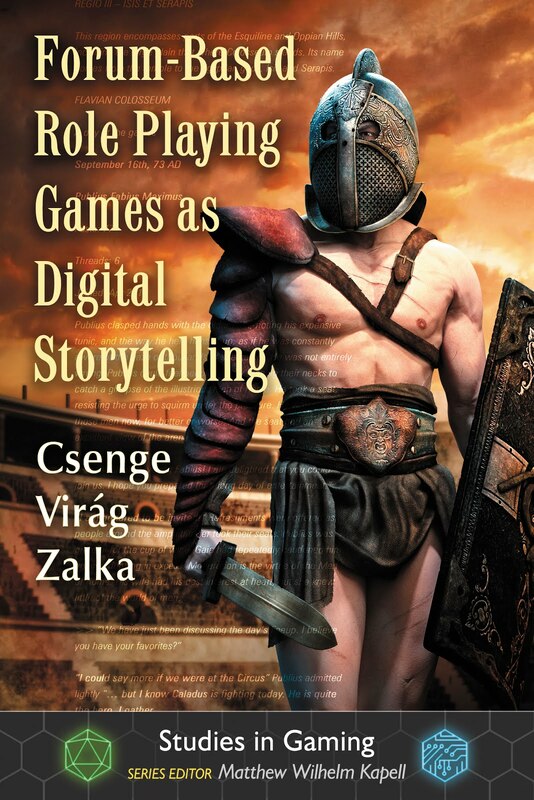 Maybe there's a story about you in there somewhere... "Storyteller Entertains While Doing Academic Research." What index number would that fit under? The tales that you chose were great, sometimes bizarre tales that I thoroughly enjoyed, Zalka! Thank you so much for your kind mention - yes, things here in Ecuador can be very weird :) I'm glad that you linked to some of the others because I had not read all of them so you've provided me with a reading list. Congratulations on a successful challenge both as a participant and co-host! I enjoyed your entries quite a bit this year. 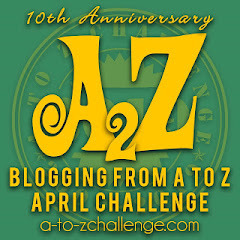 This was my second year following your blog's A to Z posts. I've been reading your blog regularly since last year's A to Z.
I loved your series and think you were absolutely successful in proving folktales are gloriously strange, fabulously intriguing, and most definitely worth becoming familiar with. I don't know why I was so delightfully surprised that there was such a thing as a motif index (duh!) but somehow knowing such things exist make the world seem both like a more orderly place and a more fantastical one. And BTW, thanks for the mention. How kind! Wondering what you will suprise me with for a theme next year! Your theme was brilliant. 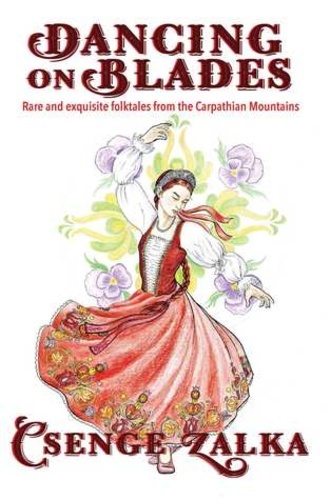 Diverse is definitely the word for all the folktales out there! Folktales aren't weird, they are far more complex than we normally think, but often we need a context to put them in in order to understand them that we don't have. 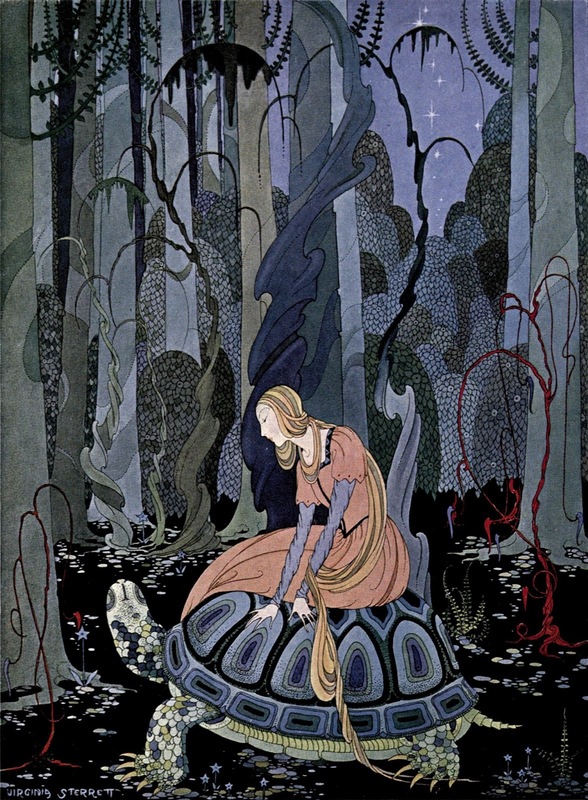 That's why I love folktales: I know there is much more in them than we might imagine on the surface. I want to learn a lot mor eabotu them. Thanks so much for sharing your knowledge. It was fascinating. I didn't read all your posts, but I really enjoyed some of them. This was my first challenge, and I think the comments section worked well (even with the deleted comments and the broken links!). And about your theme and posts, I must say that most of the titles were intriguing enough to attract us readers here! Thanks for your posts, and co-hosting the challenge! Great follow up to the A to Z challenge! I will be posting my thoughts soon. I too liked Sara Snider's posts. I was happy to see more visual artists in the challenge this year. I will mention a few other thoughts I have. Thanks for being a co-host. Looking forward to next April already. Loved your blog and I still have moments where I remember one of the folk tales and smile, with my favourite being the vomiting dog as I can so see that happening. Thanks for co hosting the challenge and look forward to reading more fascinating facts in your posts of the future. Did you use the AaTh index for your project or the ATU one? I heard Uther rectified some of the mistakes in AaTh index, but the ATU index is really hard to come by. Overall I think the Index is good for what it tries to achieve. It's a motif index, nothing more and nothing less. As long as the users are aware of this it can be very useful. I'd even argue that presenting the motifs out of context is a feature, not a bug, as it showcases how a small difference can change a narrative completely. Also I agree that the cultural diversity is lackluster at best, but Thompson never claimed it was complete. Today it's hard to judge how much of the eurocentricity was Thompson's doing and how much the availabilty of sources influenced the outcome. Probably a bit if column A and a bit of column B. It's a good starting point, but I'm looking forward to it being expanded. The AaTh and the ATU are folktale type indexes. The Thompson motif index is a whole separate thing. Your blog titles were awesome. I enjoyed reading about all the folktales you found. I thought the daily posting worked great too. Congratulations on another successful A to Z! I really enjoyed your stories. You always share such interesting tales. Thank you for your collection of weird Zalka. And also for the list of blogs above. I shall visit the ones I missed out. I wasn't a fan of the comments. Instead of clicking through the list and finding new bloggers I'd never followed before, I found myself only clicking on blog topics that were of interest to me since there was no real way of being able to tell which blogs I had already read or not without being meticulous and perhaps, for example, writing out each person's blog name after visiting. Frustrating to say the least. I also didn't like that A-Zers were all like "personal promotion is a thing you should be doing anyway". There is personal promotion and then there is a blog challenge. 1) I don't know how to share my blogger posts before they go live, so I couldn't prep in any way. 2) Don't you think bloggers have enough to do writing in responses to every letter, promoting on their own social media (let alone the official A-Z social media and blog), and commenting on, for example in my case, 10 or so blogs a day? And not just slapped together comments. I'm talking REAL comments? Anyway, thank you for all of your hard work co hosting this challenge. And congrats on all of your successes throughout the challenge! 8000 more blog reads in a month is amazing! And 500 comments? Wow! Your theme was popular with a lot of readers. It was indeed unusual! Thanks for all that you put into the Challenge once again. We'll have more to discuss later on the Team blog. Well done for making it through the challenge and co-hosting!